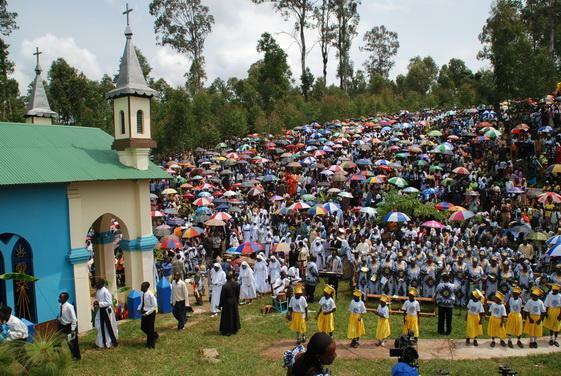 Nyakijoga, a shrine of Our Lady of Lourdes, is a place of pilgrimage in Mugana Parish, Bukoba Catholic Diocese, where the faithful may obtain, through the intercession of the Blessed Virgin Mary, God's benefits like the pilgrims who go all the way to the shrine of Our Lady at Lourdes in France. 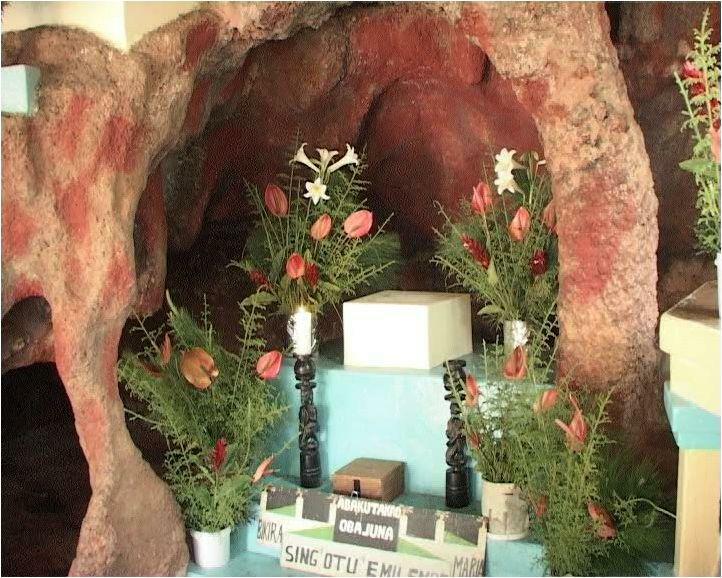 The shrine, under the jurisdiction and care of the Diocese of Bukoba and the Parish of Mugana respectively, is a grotto beautifully situated at a small Nyakijoga stream. 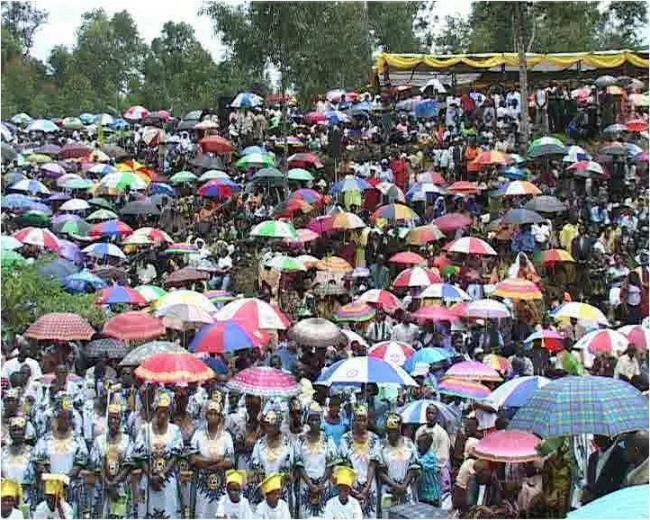 This holy place lies about 29km north-west of Bukoba town the capital of Kagera region in the north western part of Tanzania. 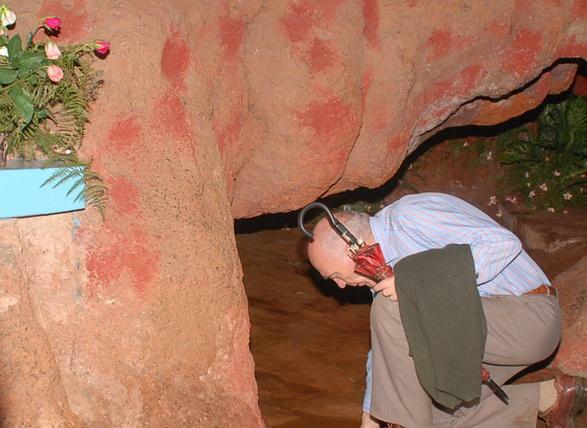 The Grotto has a cave with a nice pillar that the people called " Omuzi Gw'eibare", meaning, "the root of a rock". During the Marian Year by Pope Pius XII in 1954, to mark the centenary of the definition of the Dogma of Immaculate Conception, the parish priest of Mugana Msgr. Melchiades Kazigo, seeing the similarity of this grotto to that of Lourdes, decided to build a shrine there and used it to promote devotion to Our Lady especially the rosary. The celebrations of the Golden Jubilee of Mugana Parish in 1955, and the visit of Father Patrick Payton, the American family rosary crusader, greatly popularized the position of the shrine in Marian devotion. 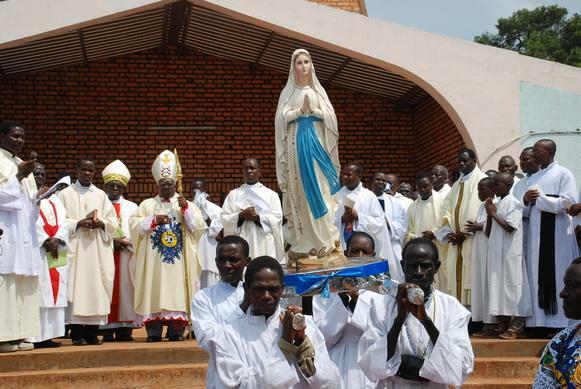 That same year bishop Laurean Rugambwa, later cardinal blessed and installed the statue of Our Lady of Lourdes in the grotto. With that, pilgrimages to the grotto started. 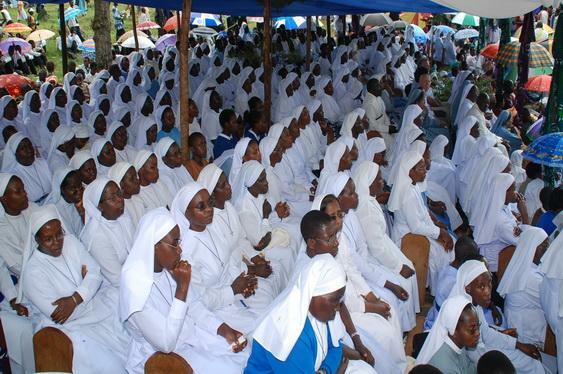 In 1958, bishop Laurean Rugambwa requested the Holy Father to grant plenary indulgences of Lourdes to those who would make their pilgrimages to this Nyakijoga as it were at Lourdes on the occasion of the 100th anniversary of Lourdes.Pope Pius XII granted the permission; and on February 11, 1958 Nyakijoga was officially inaugurated. 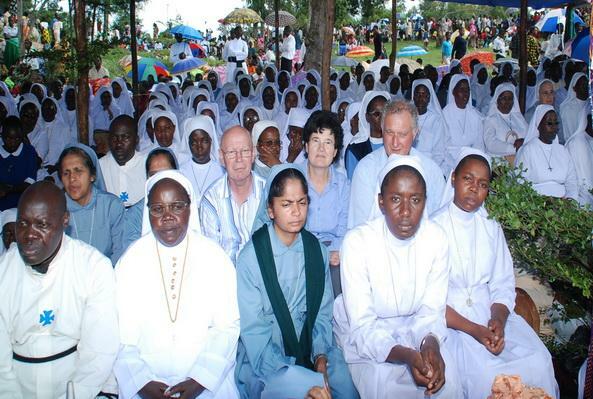 From that day many pilgrims have travelled to Nyakijoga and many favors and miracles have been reported granted through Our Lady. 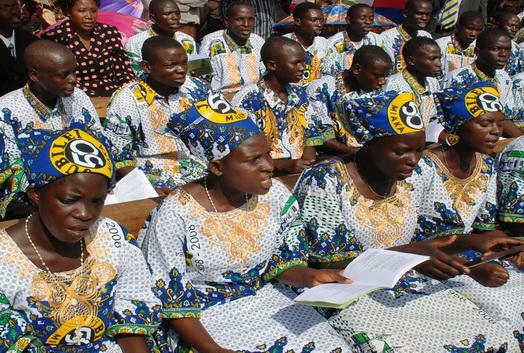 Now every year the last Sunday of October is the day of pilgrimage to Nyakijoga. 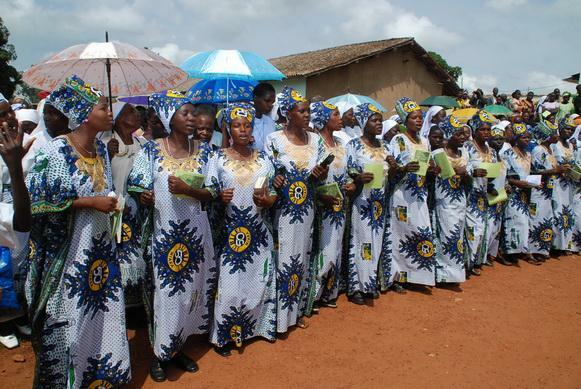 People come from all over the world to pray to Our Lady of Nyakijoga. 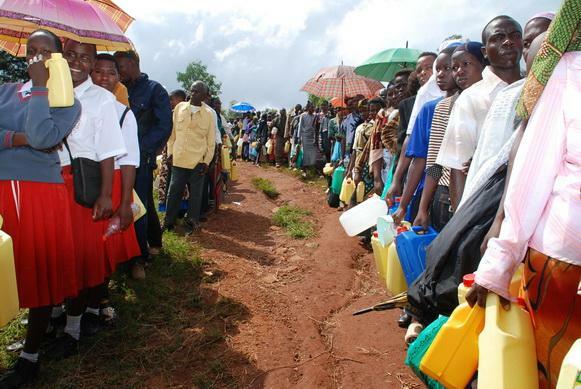 The motto of the place is "Weyoleke okwo oli Muzaire" meaning "Show yourself as our Mother."